The reality star said she hasn't had time to process recent traumatic events. Kendall Jenner said not having "the time to process" many traumatic moments in her life recently has triggered her anxiety. "There’s a lot that happened this past year, starting with like, Kim’s robbery," the model said on Sunday night's episode of "Keeping Up with the Kardashians." Jenner, 22, is referring to the October 2016 incident in which her older sister, Kim Kardashian, was robbed at gunpoint in Paris inside the hotel room where she was staying. Thieves took off with more than $14 million worth of jewelry. Paris police later charged four people in connection with the incident. (Jerome Domine/Sipa USA/AP) Kendall Jenner and Kris Jenner attending the Magnum Double Party at Plage Magnum during The 69th Annual Cannes Film Festival in Cannes, France on May 12, 2016. Months later in March, Jenner herself was victim to a robbery at her Hollywood Hills home. "Then I got robbed," Jenner continued in the episode. "That’s why I don’t really like going out anymore. That’s why I don’t tweet, that’s why I don’t Instagram. That gives me anxiety, too. I swear, it’s the craziest thing." Jenner said that her anxiety has continually grown after not being able to pause and reflect on the events. "I don’t think any of us have taken the time to process what’s been happening over the past year -- almost two years, even," she said. "And I think that that is a factor in a lot of this. It’s hard to get your brain to slow down and think about it and really process what’s happening." Jenner added, "Now that I can sit here and verbally say that, I think that will help me with the steps to take the time and really address it." 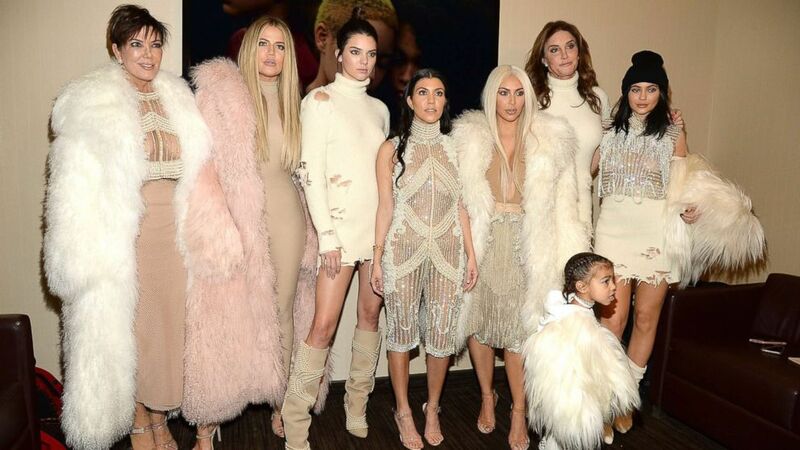 (Kevin Mazur/Getty Images, FILE) Khloe Kardashian, Kris Jenner, Kendall Jenner, Kourtney Kardashian, Kim Kardashian West, North West, Caitlyn Jenner and Kylie Jenner attend Kanye West Yeezy Season 3 at Madison Square Garden on Feb. 11, 2016 in New York City. During "Keeping Up With the Kardashians," before Jenner flew off to Milan fashion week, she said she tried different coping mechanisms, including acupuncture, meditation and sound bathing. "Anxiety is all mental, so you have to try and find your ways around it," Jenner said. "I try and maintain it, but sometimes it’s out of your control. But I think I’m very blessed to be in the situation I’m in, and every year that I do fashion months it gets a little bit easier. It’s really exciting. I still look forward to it every year."